Draft: 2002, New York Mets, 1st rd. Started the Scott Kazmir Foundation which benefits the Children's Dream Fund and other organizations that assist ailing children. Did not pitch in the majors due to a left hip injury...Made three rehabilitation three starts with Single-A Rancho Cucamonga in June and July, but the Dodgers never activated him from the disabled list…Made one more relief appearance during a rehabilitation assignment with the Quakes in September, but finished the season on the 60-day disabled list. In his first season with the Dodgers and in the National League, he posted a 10-6 record with a 4.56 ERA in 26 starts... limited left-handed hitters to a .224 average, compared to a .264 mark against right-handers...Recorded his 100th career victory on May 3 in a 10-5 win at Tampa Bay, allowing four runs in 6.2 innings with nine strikeouts...Posted a career-high seven-game winning streak from May 14-July 24, going 7-0 with a 3.73 ERA in 13 starts during the run...Was placed on the 15-day disabled list on Aug. 23-Sept. 23 with neck soreness. Won a career-high and team-leading 15 games in his 10th Major League season, his first with the A's…was named an American League All-Star for the third time in his career (2006, 2008)…went 15-9 witha 3.55 ERA in 32 starts… had career highs in winning percentage (.625) and opponents grounded intodouble plays (19) and career lows in opponents on-base percentage (.291), slugging percentage (.357)and walks per nine innings (2.36)…had two complete games after tallying just one in 208 starts overhis first nine seasons…his starts and innings pitched (190.1) were second most in his career to his 34starts and 206.2 innings with Tampa Bay in 2007…tied for eighth in the AL in wins…also had the sixth highest run support (5.58), tied for sixth in complete games, ranked 10th in opponents on-base percentage (.291) and slugging percentage (.357) and tied for 10th in games started…was 9-2 with a 2.08 ERAand .203 opponents batting average over his first 15 starts and was leading the AL in ERA entering playJune 24…allowed seven runs in 3.0 innings that day at New York (NL) and went 6-7 with a 5.00 ERAand .272 opponents batting average over his final 17 starts…his ERA from June 24 through the end of the season was fourth highest in the AL…allowed a .238 opponents batting average, including .227 (123-for-541) against right-handed hitters compared to .273 (48-for-176) against left-handers…yielded14 of his 16 home runs to righties…has surrendered 30 of his 35 home runs over the last two years to righties…held the opposition to a .081 batting average with runners in scoring position and two outs, which was the lowest mark by a Major Leaguer with 162 or more innings pitched since Bobby Bolinhad a .079 average with San Francisco in 1965…ranked sixth in the AL among pitchers that qualified for the ERA title in opponents batting average with RISP (.196) and opponents average with two strikes(.146)…rank second in the AL with a .123 opponents average against the number eight hitter and a .169 average against the number two hitter…walked just seven batters to lead off an inning…yielded a .188 batting average with two outs, .261 with no or one outs…allowed a .239 batting average the first timethrough the lineup, .236 the second time and .240 after that…went 5-3 with a 2.99 ERA and .210 opponents batting average in 12 starts during the day compared to 10-6 with a 3.91 ERA and .256 opponents batting average in 20 starts at night…surrendered just two home runs in 75.1 innings during the day…is now 10-5 with a 3.11 ERA (45 er in 130.1 ip) in 22 starts in day games over the last two years compared to 15-13 with a 4.17 ERA (101 er in 218.0 ip) in 39 starts in night games…posted a 1.97 ERA in the first inning, which ranked fourth in the AL…compiled a 4-4 record and a 4.71 ERA in 12 starts against AL West competition compared to 11-5 with a 2.94 ERA in 20 starts against everyone else…over thelast two years, he is 7-7 with a 5.08 ERA (60 er in 106.1 ip) in 20 starts against the AL West, 18-11 witha 3.20 ERA (86 er in 242.0 ip) in 41 starts against all other teams…was 3-1 with a 4.45 ERA in five interleague starts…tied for fifth in interleague wins…is now 14-6 with a 4.52 ERA (75 er in 149.1 ip) in27 career interleague starts…went 11-5 with a 4.09 ERA in 17 starts on four days rest, 4-4 with a 2.90 ERA in 15 starts on five days rest or more…opponents were successful in 18-of-20 (90.0%) stolen bases off him and he had just one pickoff…the stolen base percentage was second highest in the AL (Hughes, MIN 93.3%) and the stolen bases tied for seventh most…ranked sixth in the AL in fewest pitches pergame (93.2) and tied for sixth in sacrifice hits allowed (5)…the A's were 21-11 (.656) in his starting assignments…walked two batters or fewer in 25 of his 32 starts. Went from the independent Atlantic League in 2012 to a key member of the Cleveland Indians rotation, going 10-9 with a 4.04 ERA in 29 starts…it was his sixth 10-win season but his first since 2009 … his 29 starts were his most since 2007, as were his 158.0 innings pitched…walked 47 batters for an average of 2.68 walks per nine innings, which was the lowest mark of his career…his previous low was 3.24 in 2006 … struck out 162, and his strikeout-to-walk ratio of 3.45 was also a career best…was one of a clubrecord tying three pitchers to fan 150 or more batters (Jimenez, Masterson) … averaged 9.23 strikeouts per nine innings … did not qualify for the league leaders but had the seventh best strikeout per nine inning ratio among American League pitchers with 150 or more innings pitched … using the same minimum, he had the fifth highest run support average (6.27) … was 3-4 with a 5.89 ERA and .302 opponents batting average over his first 11 starts through June 15…then went 7-5 with a 3.06 ERA and .239 opponents average over his final 18 starts … allowed a .262 opponents batting average, including .226 (38-for-168) against left-handed hitters compared to .275 (124-for-451) against right-handers…surrendered 16 of his 19 home runs and issued 41 of his 47 walks to righties…13 of the 19 home runs were solo shots … was 7-2 with a 3.86 ERA in 14 starts at home compared to 3-7 with a 4.21 ERA in 15 starts on the road … logged a 5-2 record and a 3.27 ERA in 10 starts during the day compared to 5-7 with a 4.46 ERA in 19 starts at night…was 6-5 with a 3.55 ERA in 15 starts on four days rest, 4-4 with a 4.60 ERA in 14 starts on five days rest or more…compiled a mark of 5-4 and a 4.60 ERA in 16 starts before the All-Star Break … then went 5-5 with a 3.38 ERA in 13 starts after the break…his career numbers are 41-42 with a 4.75 ERA (346 er in 655.0 ip) in 116 starts before the break compared to 35-28 with a 3.41 ERA (199 er in 525.0 ip) in 93 games, 92 starts, after the break … was 3-1 with a 3.38 ERA in five interleague starts and is now 11-5 in 22 career interleague starts…committed three errors, which tied for second most among AL pitchers…the Indians were 15-14 (.517) in his starting assignments…tossed six or more innings in 15 of his starts, allowed two runs or fewer 16 times and walked two batters or fewer six times. CLEVELAND: Was a non-roster invitee with the Indians during the spring but was added to the roster and placed on the 15-day disabled list April 2 with a sprained right rib cage…made one rehab start at Triple-A Columbus April 15 and was the winning pitcher in the Clippers 4-1 win over Louisville (5.0 ip, 5 h, 1 r, 5 so)…was reinstated from the DL April 20 and allowed a season-high six runs in 3.1 innings in his first start that day against Houston…ended up with a no decision in the Indians 19-6 win … allowed two runs in 6.0 innings May 4 against Minnesota for his first win of the season…it was his first Major League win since Sept. 19, 2010 … went 3-0 with a 1.45 ERA in five starts against the Twins in 2013 … struck out 10 batters in 6.0 innings May 9 against Oakland, his first of four 10-strikeout games … walked a season-high four batters May 25 at Boston…tossed a season-high 111 pitches June 4 at New York (AL) … matched his walk high June 15 against Washington while tossing a season-low 2.2 innings…had a season-high four-game winning streak from June 21 to Aug. 4 … compiled a 1.93 ERA and .173 opponents batting average over that nine-start stretch…tossed a season-high 8.0 innings July 24 at Seattle, allowing one unearned run on one hit for the win…it was his longest outing since June 6, 2008…went 2-0 with a 2.75 ERA and .198 opponents batting average in six starts in July…allowed just one home run in 36.0 innings…singled Aug. 4 at Miami, his second career hit…went 1-for-4 at the plate in 2013 … had a season-high three-game losing streak from Aug. 9 to 31…compiled a 7.11 ERA and .353 opponents batting average over that four-start stretch … allowed a season-high 10 hits in 5.0 innings at Oakland Aug. 18…went 3-2 with a 2.57 ERA in five starts in September…struck out 43 batters in 28 innings and walked just four…ranked fourth in the AL in strikeouts in September…had three 10-strikeout games in the month, including Sept. 6 against New York (NL) when he fanned a season-high 12 in 6.0 shutout innings… according to the Elias Sports Bureau, he became the second pitcher in Cleveland history to have that many strikeouts in a game in which he pitched no more than six innings (Sam McDowell vs. Detroit, Sept. 18, 1966) … did not walk a batter and became the first Major League pitcher with a scoreless outing of 6.0 innings or fewer with at least 12 strikeouts and no walks since Texas' Matt Perisho Oct. 3, 1999 at Anaheim … finished the season with back-to-back 10-strikeout games, fanning 10 Sept. 21 against Houston and 11 Sept. 28 at Minnesota…won both starts to become the first Indian to win consecutive starts with 10 or more strikeouts since Chuck Finley in April, 2000. Made 14 starts in the Atlantic League for Sugar Land from July 8-September 21...Pitched for Carolina in the Puerto Rican Winter League from November 15-December 12, going 0-2 with a 4.37 ERA, averaging 10.7 strikeouts per 9.0IP (0-2, 4.37ERA, 22.2IP, 28H, 11ER, 8BB, 27K). Made 1 start for the LA Angels on 4/3 at Kansas City (1.2IP, 5H, 5R/ER, 2BB, 0K) and was placed on the 15-day DL on 4/4 with a lower back strain...Began rehab on 5/24 at AAA Salt Lake and was released on 6/15. Finished first full season with Halos and sixth full season in the Majors at 9-15 with a 5.94 ERA (150 IP - 99 ER) in 28 starts...Allowed 158 hits (25 HR) with 79 walks and 93 strikeouts...Set career-high with 15 losses, the second highest total in MLB...Started season on disabled list with a strained right hamstring, missing nine games before making first start, April 15...Maderehab start for Rancho Cucamonga, April 9 vs. Inland Empire...Took a second trip to the DL, July 18 (retro to July 11) with leftshoulder fatigue and was reinstated, August 6...Recorded seven of nine wins away from Angel Stadium...In his career, owns a3.46 ERA (447.2 IP - 172 ER) in the second half compared to a 4.71 mark before the All Star break...Finished season one winshy of sixth consecutive season with 10-or-more wins...Is seven strikeouts shy of 1,000...Failed to reach 100 strikeout mark in afull season for first time in career (struck out 41 in eight games in 2004)...Allowed three earned runs-or-less in 14 of 26 starts...Tossed just six quality starts and allowed 25 home runs, setting a new career-high (previously 23 in 2008). Acquired by Angels, August 28th in exchange for minor leaguers Matthew Sweeney (INF), Alex Torres (LHP) and a PTBNL (SeanRodriguez, INF)...With Angels was 2-2 with a 1.73 ERA (36.1 IP - 7 ER) in six starts...For the season, finished 10-9 with a 4.89ERA (147.1 IP - 80 ER) in 26 starts between Rays and Angels...Recorded 10-or-more wins for fifth consecutive season...Recorded50th career victory, April 24 at Athletics (8-2 win; 6 IP, 2 H, 3 BB, 2 SO)...Left Tampa Bay as all-time leader in wins, inningspitched, strikeouts, starts and quality starts...Was placed on 15-day disabled list, May 22 (retroactive to May 21) due to rightquadriceps strain and was reactivated, June 27...Made Angels debut, Sept. 2 at Mainers (3-0 loss; 6.1 IP, 3 H, 2 R, 1 ER, 1 BB,8 SO)...Marked 14th Angels pitcher to make a start in 2009...Earned first victory as an Angel, Sept. 18 at Rangers (2-0 win; 6IP, 6 H, 5 SO)....Pitched six innings-or-more in 17 of 26 starts, including 13 of last 15...Allowed three runs-or-less in each oflast nine starts...Matched career-high in losses (also in 2005, 2007). Completed 2008 season with 12-8 record and a 3.49 ERA (152.1 IP - 59 ER) in 27 starts with Rays...Allowed 123 hits (23HR), walked 70 and struck out 166...Led club in strikeouts, placing 10th in AL...Missed all of April with left elbow strainsuffered in spring training...Earned AL Pitcher of the Month honors for May (5-1, 1.22 ERA), becoming first Ray ever to wina pitcher of player of the month award...Won six straight starts from May 10 - June 6, becoming first Rays pitcher to do so(eclipsing his own club mark of 5, set in 2006)...Became the Rays all-time win leader, May 10 vs. Angels, recording his 36thvictory...Made 100th career start, May 15 vs. Yankees...Struck out 627 batters over first 100 starts, a mark surpassed byonly 17 pitchers in the last 50 years...Was selected to second career All-Star game, earning the victory in the 15-inning, 4-3win for the AL...With 10th win on Aug. 29 vs. Baltimore, became just fourth pitcher in last 20 years to have four winningseasons with 10-or-more wins before the age of 25 (Dwight Gooden, Pedro Martinez and C.C. Sabathia)...Defeated KevinSlowey and Minnesota, 7-2, Sept. 20 with six shutout innings as Rays clinched first-ever postseason birth. Led the American League with a career-high 239 strikeouts ... at 23 became the youngest AL strikeout champion since 22-year-old Frank Tanana with the Angels in 1975 ... was the 8th youngest in AL history ... would have been the major league strikeout leader, but San Diego's Jake Peavy edged him out by one (with 240) in the Padres one-game playoff with Colorado, their 163rd game ... Since 1969, only 7 pitchers have struck out as many batters in one season at Kazmir's age or younger ... Since 1900, only 20 pitchers, 5 lefthanders, have struck out more batters in their career before the age of 24 ... Became the just the 3rd Ray to finish in the league's top 10 in ERA with a club record 3.49 mark, 9th in the AL ... joined Rolando Arrojo (9th in 1998) and Albie Lopez (8th in 2000). His 206.1 innings made him the the 4th Ray all-time to reach 200 innings in a single season, first lefthander ... joined Tanyon Sturtze (224 in 2002), James Shields (215.0 in 2007) and Rolando Arrojo (202 in 1998) ... His 34 starts were a club record and tied for the AL lead ... his 13 wins were 2nd most in club history behind Rolando Arrojo's 14 wins in 1998 ... had 5 starts in which he pitched 6+ innings and allowed one ER or less and didn't get a win ... His 10.41 strikeouts per 9 IP were 2nd in the majors behind Baltimore's Erik Bedard (10.93) ... only 13 pitchers all-time have had a better strikeouts per 9 IP ratio in one season: Randy Johnson, Pedro Martinez, Nolan Ryan, Sandy Koufax, Curt Schilling, Sam McDowell, Kerry Wood, Dwight Gooden, Mark Prior, Hideo Nomo, Johan Santana, Oliver Perez, and Bedard ... Roger Clemens' best season was 10.39 in 1998 ... only 5 other qualifying pitchers all-time have fanned an average of 10+ over 9 innings before the age of 24 ... For the second year in a row he led the majors with the best strikeouts per 9 innings ratio at home with 146 strikeouts in 114.2 IP (11.46 per 9 IP) ... in 2006, he led the majors with an 11.11 home mark ... Is one of only four pitchers in the last 20 years to have three winning seasons with 10+ wins before the age of 24 ... also Dwight Gooden, Pedro Martinez and CC Sabathia ... Was 8-3 with a 2.39 ERA (IP-94.1, ER-25) in 15 starts after the All-Star Break ... only one major league starter had a lower ERA after the break: Cleveland's Fausto Carmona with a 2.26 mark. Opponents were 2-for-19 (.105) with the bases loaded in 2007...in his career, he has held opposing batters to a .105 (5-48) average ... Left-handed hitters batted .217 (46-212) off him ... during his career he has held lefties to a .215 (104-483, HR-10) average ... Was 9-4 in 15 road starts with a 3.52 ERA (IP-92, ER-36) more than twice as many wins as he had at home (4) ... Did his best pitching against the best ... held the AL's top five hitting teams (NYY, BOS, DET, SEA and LAA) to a .207 (63-304) batting average and was 5-3 ... he posted a 2.61 ERA (IP-72.1, ER- 21) and was 4-3 against teams that advanced to postseason ... although he was 2-3 against the Yankees and Red Sox, he worked to a 2.73 ERA against them (IP-59.1, ER-18) ... David Ortiz and Manny Ramirez are a combined 13-for-76 (.171) off him with 2 home runs ... Yankees Derek Jeter (2-20), Alex Rodriguez (2-18), Jorge Posada (2-17), Hideki Matsui (4-20), Jason Giambi (2-13) and Robinson Cano (1-11) are a combined 13-for-99 (.132) off him with 3 home runs ... Struck out 49 Red Sox batters in 2007 ... only 3 pitchers in the last 50 years have fanned more Sox in one season: Jim Bunning (Det, 1960, 66), Nolan Ryan (Cal, 1974, 53) and Mike Mussina (Bal, 2001, 52) ... in 17 lifetime starts against the Red Sox he is 6-5 with a 2.66 ERA (IP-101.1, ER-30) ... in the last 50 years only five pitchers have a better career ERA against the Red Sox (min 100 IP) ... Beat Curt Schilling 1-0 at Fenway Park on September 10 ... it was the Red Sox first 1-0 loss at home since Sep 2, 2001 (NYY's Mike Mussina) ... in two other starts against Boston he left without allowing a run and didn't get a decision: worked 6 innings at home on July 29 and left with the game scoreless, and on Aug 14 at Fenway left after 6 with a 1-0 lead, but Rays lost 2-1. His mark of 17.5 pitches per inning was the highest in the majors ... His 3,609 pitches were 4th most behind Carlos Zambrano (3,691) Dan Haren (3,635) and Jake Peavy (3,615) ... Over the past three seasons (2005-07) his 17.4 pitches per inning are 5th highest in the majors. The 22-year-old put together an All-Star season before he was sidelined with shoulder inflammation in the second half...paced the Rays staff in wins (10), ERA (3.24) and strikeouts (163)...Finished with a 10.14 strikeouts per 9 IP ratio...Only two pitchers (min 20 starts) in major league history had a better K/9 IP ratio at a younger age: Kerry Wood (12.58 in 1998) and Dwight Gooden (11.39 in 1984)...Fanned 93 batters in 75.1 innings at Tropicana Field, the best strikeouts per 9 innings ratio (11.11) in the majors among pitchers with 75 or more innings pitched at home...Held opponents to a .191 batting average at home (52-272), also tops in the majors...His 1.91 ERA was the 2nd best home ERA in the majors behind St. Louis' Chris Carpenter (1.81)...Won 10 of 24 (42%) starts while the rest of the staff won only 26 of 138 starts (19%)...Rays were 13-11 in his 24 starts; 48-90 in the others...Tossed his first career complete game shutout July 3 in a 2-hit, 3-0 win over the Red Sox and fellow Texan Josh Beckett...walked just 2 while striking out 10...was the 14th CG SHO in club history and Scott was the 10th to do it, 3rd lefty...With the win, Kaz became the youngest pitcher to reach 10 wins by that date since John Smoltz with the Braves in 1989...he also became just the 4th pitcher in the last 30 years to beat the Sox 3 times before the All-Star Break (also Mike Mussina, NYY-2002, Andy Pettitte, NYY-2001 and Frank Viola, MIN-1988)...Is 5-2 with a 2.60 ERA against Boston in his career...Since Kaz made his major league debut Aug. 23, 2004, his ERA is the 5th lowest against the Red Sox and only Randy Johnson (7) has more wins against the Beantown nine...The July 3 victory was his last of the season, however...He made only six more starts and despite pitching to a 3.06 ERA (IP-35.1, H-27, ER-12, SO-45) was 0-3 the rest of the way while the Rays scored 13 runs combined in his 6 starts...Landed on the DL, July 24-Aug 11 with left shoulder inflammation...Returned for two more starts allowing only one earned run in the two outings, but was shelved for the final six weeks of the season as a precaution...Made his last start on August 22, a no decision vs. Texas won by the Rays, 5-3...At the time he was sidelined, he was leading the majors (among qualifiers) with a 10.1 strikeouts per 9 innings pitched ratio...Was also 4th in the AL in ERA (3.24) , 2nd in strikeouts (163) and 5th in opponents batting average (.240)...In his next-to-the-last start on Aug 17, he threw 5.0 shutout innings allowing just 2 hits and 3 walks while striking out 10 in a no-decision against Toronto...Struck out 10 of the 20 batters he faced, all were swinging...Rays eventually lost 6-2...According to the Elias Sports Bureau, Kaz was the first starting pitcher since 1920 - the beginning of the live ball era - to produce a pitching line with 5 or fewer innings, 10 or more strikeouts and no runs allowed...Allowed 3 earned runs or less in 20 of his 24 starts, one earned run or less in 11 starts and no runs in 5 of his starts...Of his 73 career starts, he has allowed one earned run or less 28 times, three earned runs or less 45 times...Fanned 10 or more batters five times...only MIN's Johan Santana (9) had more among ML pitchers...Of the 17 times in Rays history a starter has fanned 10+ batters, Kaz owns 8 of them...Held opponents to a .188 (25-133) average with runners in scoring position, 3rd best in the majors behind MIN's Johan Santana (.174) and SD's Chris Young (.176)...Opponents batted .213 off him with men on base, 6th in the AL...surrendered only one hit in seven at bats with the bases loaded, opponents are just 3-for-29 (.103) with the bags full off him during his brief career...Was selected by his peers as the Rays representative at the 77th All-Star Game in Pittsburgh...pitched a scoreless inning in the AL's 3-2 win needing only 9 pitches to retire all 3 batters (Freddy Sanchez, Carlos Beltran, Albert Pujols)... became the youngest pitcher to appear in an All-Star Game since Ramon Martinez with the Dodgers in 1990...became the youngest Rays All-Star ever, 10th All-Star in club history, 6th pitcher, first lefthander...since 2000, FLA's Dontrelle Willis (in 2003) is the only pitcher younger than Kaz at the midsummer classic...Reeled off a team-high and career-high 5 straight wins April 30-May 21 over 5 starts (ERA-0.78, 34.2-IP, 4-R, 3-ER, 7-BB, 42-K)...allowed 1 ER or less in each start including 7.0 shutout innings in a 1-0 win over Seattle's Jamie Moyer on May 10 and 8.0 shutout innings in a 3-0 win against Florida on May 21 in which he tied his career high with 11 K's...compiled a career-best and team-high 18.0 inning scoreless streak over the stretch, tied for the 2nd longest in club history...Named AL Player of the Week for May 15-21, the 2nd TB pitcher to ever win the award joining RH Albie Lopez who earned the honor in 2000...was the youngest pitcher in 25 years to win the honor...Also garnered recognition for AL May Pitcher of the Month after going 4-1 with a 1.91 ERA (33-IP, 29-H, 8-R, 7-ER, 8-BB, AL-high 38-SO, 1-HR)...tied a club record for most wins in a month...Earned wins over former Cy Young Award Winner Roy Halladay (Apr 9), 2001 World Series Co-MVP Curt Schilling (Apr 30), 2003 World Series MVP Josh Beckett (July 3) and 2003 Rookie of the Year Dontrelle Willis (May 21)...also defeated Rays nemeses Tim Wakefield (Apr 20) and Jamie Moyer (May 10) who were a combined 21-4 (.840) lifetime against Tampa Bay entering 2006...Opposing pitchers owned a .567 winning pct. and averaged just under 10 wins apiece (9.74). » Named the Rays Opening Day starter on March 23 and at 22 years, 69 days, Kaz became the youngest opening day hurler since Dwight Gooden (21 yrs/143 days) in 1986...The youngest ever to start on Opening Day was Catfish Hunter (20 yrs/4 days) in 1966 with the Kansas City A's...Since 1900 only 28 pitchers have started an Opening Day at a younger age than Kazmir and since 1970 only six pitchers have started an opener at a younger age...In the last 50 years (since 1956) only 14 have started Opening Day at a younger age. Rays' 21-year-old lefty established a club record with 174 strikeouts - 37 more than any othermajor league rookie...He finished 4th overall in the AL, the most strikeouts by an AL rookie in the last 19 years (see chart)...The last pitcher with as many strikeouts in a season before the age off 22 was Rick Ankiel with St. Louis in 2000(194 K's at the age of 20)...Was one of only 3 pitchers in the AL (min 162 IP) with more strikeouts than hitsallowed...Joined Yankee Randy Johnson and Minn's Johan Santana...His 8.4 strikeouts per 9 IP tied Randy Johnsonfor 3rd highest in the AL and also matched Edwin Correa (TEX-1986) as the 6th best all-time by an AL rookie...Was 3rd among AL rookies and led the staff in innings (186) and starts (32)...His 3.77 ERA also led the staff and was 5th among AL rookies...Had a team-high 18 quality starts, tied for 2nd among AL rookies with Toronto's Gustavo Chacin behind Oakland's Joe Blanton (22)...Only 4 rookies since 1980 have bettered Kazmir's numbers in innings, strikeouts and ERA:(Dwight Gooden NYM, 1984), Mark Langston (Sea, 1984), Hideo Nomo (LA, 1995) andFernando Valenzuela (LA, 1981)...Only 13 pitchers in major league history have reachedthose totals in a season before their 22nd birthday, none since Dwight Gooden in 1986...Named to Baseball America's all-rookie team along with teammate Jonny Gomes...Had 14 starts with one ER or less, tied with Chicago's Mark Buehrle and Minn's Johan Santana for most in the AL...Kaz won only half of those starts. ..Five times he left a start inline for the win, but the bullpen couldn't hold the lead...The Rays scored 3 or fewer runs in 15 of his starts...After the All-Star Break posted a 7-2 record and a 2.79 ERA (IP-84, H-76, ER-26) in 14starts...His 92 strikeouts were 3rd in the AL and his ERA was 7th best in the league...He was 3-0 in September with a 1.71 ERA (IP-31.2, ER-7) in 5 starts and held opponents to a .204 average...His ERA was the AL's 4th best for the month...only 5 Rays pitchers have ever gone undefeated in any month...he and Mark Hendrickson (also 2005) were the first to do it in the month of September...Averaged 17.7 pitches per 9 IP, tied with SF's Jason Schmidt for the most in the majors...Was the first rookie since Texas' Bobby Witt in 1986 to lead the majors in walks allowed...Left-handed hitters batted .174 off him, lowest among all major league starters and 2ndamong all pitchers behind Minnesota's Joe Nathan (.158)...Has allowed only one home runto a lefty batter in his career (174 ABs): Raul Ibanez took him deep at Seattle on June 4...Opposing batters hit only .248 against him, 8th in the AL and 2nd among AL rookies behind Oakland's Joe Blanton ... Opponents were 2-for-18 off him with the bases loaded and are 2-for-22 off him during his brief career...Was the 2nd toughest to hit a home run off in the AL behind Los Angeles' John Lackey...Kazmir allowed only 12 in 186 innings; Lackey led allowing only 13 in 209...Opponents slugging average was only .374, 6th lowest in the AL and far below the ALaverage of .424...Had 3 outings of 10+ strikeouts including a career-high 11 Sep 10 vs. Toronto...Is the firstRays pitcher to accomplish that more than once...Was 5-4 with a 2.85 ERA (IP-98, ER-31) vs. the AL East...Is now 3-2 lifetime against the Yankees and Red Sox with a 2.80 ERA (IP-54.2, H-43, ER-17, SO-53)...Twice against the Twins he took no-hitters into the 5th inning and ended up losing both games...Twice he teamed up with Joe Borowski and Danys Baez on 1-0 wins: Aug 14 at Cleveland and Sep 4 at Toronto. Acquired the day before the trading deadline on July 30 from the New York Mets along with RHP Jose Diaz in exchange for RHP Victor Zambrano and RHP Bartolome Fortunato...Was assigned to AA Montgomery, but was there for just 3 weeks before promotion to the Rays...Became the youngest pitcher in the majors this season and the 2nd youngest in Rays' history when he made his major league debut at Seattle on Aug 23 at the age of 20 years, 7 months...Threw 5 scoreless innings as the Rays won, 9-0...The first batter he faced was 2004 AL Batting champion Ichiro and he got him on a groundout to SS...In the last 30 years, only 9pitchers have won their major league debut at a younger age...Was the youngest pitcher to win his major league debut via shutout since Mike Norris with the A's on April 10, 1975...Was the 6th Ray to record the win in his major league debut: also Rolando Arrojo (1998), Mickey Callaway (1999), Joe Kennedy (2001), Seth McClung (2003) and Doug Waechter (2003)...Arrojo, Callaway and Kennedy were also starting assignments...On Sept. 14, at 20 years, 8 months, 21 days, he became the youngest left-handed pitcher to beat the American League champion Red Sox at Fenway since Hal Newhouser did it for the Tigers on Aug 3, 1941, at the age of 20 years, 2 months, 13 days...Kazmir defeated Pedro Martinez, 5-2...He became just the 11th rookie ever to beat the 3-time Cy Young Award winner...His line (IP-6, H-3, R-0, BB-3, SO-9)...In 2 games against the Red Sox - he was 1-0 and allowed 3 hits, no runs, 4 walks and fanned 15 in 9.1 innings...On Sep 27 at home vs. the Red Sox, he was ejected with one out in the 4th inning after hitting back-to-back batters (Manny Ramirez and Kevin Millar)...Had not allowed a hit at the time of his ejection and had fanned 6...Pitched at 3 minor league stops, beginning the year at Class A St. Lucie, then at AA Binghamton before the trade...In 19 starts was a combined 4-5 with a 2.50 ERA (IP-101, H-79, SO-104)...Two starts before the trade on July 20 vs. New Hampshire (Blue Jays) he posted career highs in innings pitched (8.0) and a season high in strikeouts (10) but lost 2-0...Missed most of May with a strained oblique muscle...Won his Montgomery debut 11-1 at Carolina (Marlins) on Aug. 1 (5.0-IP, 3-H, 0-R, 3-BB, 8-SO)...In 2004, Baseball America listed him as the 12th-best prospect in all of minor league baseball andthe 3rd-best pitching prospect behind RHP Edwin Jackson and LHP Greg Miller, both in the Dodgers organization...Was invited to Mets camp as a non-roster invitee. Led all minor league starting pitchers in strikeouts per nine innings (11.94)...Had145 strikeouts in 109.1 innings...Also was 5th in batting average against (.202)...Named the Mets best prospect and the 11th best prospect in all of minor league baseball by Baseball America...Had a then career-high 11 strikeouts (in 5 innings) June 14, 2003 vs. Savannah (Expos) while pitching for Capital City...Made 2 postseason appearances in 2003...was 1-0 and didn't allow a run in 9.1 innings (SO-12) to help lead Port St. Lucie to the Florida State League championship...Was thewinning pitcher in the FSL title clinching game on Sep 9 at Dunedin. Named Baseball America's top left-handed minor league pitcher in 2002...Opponentsbatted .089 (5-56) off him in 5 appearances for Class A Brooklyn. March 24, 2018 Atlanta Braves released LHP Scott Kazmir. December 16, 2017 Atlanta Braves traded LF Matt Kemp to Los Angeles Dodgers for Adrian Gonzalez, LHP Scott Kazmir, RHP Brandon McCarthy, LF Charlie Culberson and cash. November 6, 2017 Los Angeles Dodgers activated LHP Scott Kazmir from the 60-day disabled list. September 9, 2017 Los Angeles Dodgers sent LHP Scott Kazmir on a rehab assignment to Rancho Cucamonga Quakes. September 4, 2017 Los Angeles Dodgers sent LHP Scott Kazmir on a rehab assignment to Rancho Cucamonga Quakes. June 26, 2017 Los Angeles Dodgers sent LHP Scott Kazmir on a rehab assignment to Rancho Cucamonga Quakes. May 26, 2017 Los Angeles Dodgers transferred LHP Scott Kazmir from the 10-day disabled list to the 60-day disabled list. Strained left hip. April 2, 2017 Los Angeles Dodgers placed LHP Scott Kazmir on the 10-day disabled list retroactive to March 30, 2017. Strained left hip. October 23, 2016 Los Angeles Dodgers activated LHP Scott Kazmir. October 7, 2016 Los Angeles Dodgers reassigned LHP Scott Kazmir to the minor leagues. September 23, 2016 Los Angeles Dodgers activated LHP Scott Kazmir from the 15-day disabled list. September 7, 2016 Los Angeles Dodgers sent LHP Scott Kazmir on a rehab assignment to Oklahoma City Dodgers. December 30, 2015 Los Angeles Dodgers signed free agent LHP Scott Kazmir. November 2, 2015 LHP Scott Kazmir elected free agency. October 8, 2015 Houston Astros activated LHP Scott Kazmir. October 6, 2015 Houston Astros reassigned LHP Scott Kazmir to the minor leagues. July 24, 2015 Houston Astros activated LHP Scott Kazmir. July 23, 2015 Oakland Athletics traded LHP Scott Kazmir to Houston Astros for RHP Daniel Mengden and C Jacob Nottingham. October 2, 2014 Oakland Athletics activated LHP Scott Kazmir. September 30, 2014 Oakland Athletics reassigned LHP Scott Kazmir to the minor leagues. December 4, 2013 Oakland Athletics signed free agent LHP Scott Kazmir. April 20, 2013 Cleveland Indians activated LHP Scott Kazmir from the 15-day disabled list. April 15, 2013 Cleveland Indians sent LHP Scott Kazmir on a rehab assignment to Columbus Clippers. April 5, 2013 Cleveland Indians placed LHP Scott Kazmir on the 15-day disabled list retroactive to April 2, 2013. Right rib cage strain. April 2, 2013 Cleveland Indians selected the contract of LHP Scott Kazmir from Columbus Clippers. January 8, 2013 Cleveland Indians signed free agent LHP Scott Kazmir to a minor league contract and invited him to spring training. 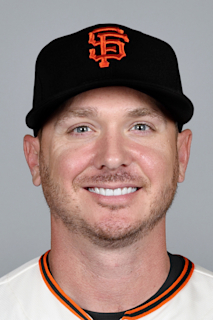 November 5, 2012 LHP Scott Kazmir assigned to Gigantes de Carolina. November 19, 2011 Leones del Escogido signed free agent LHP Scott Kazmir. June 15, 2011 Los Angeles Angels released LHP Scott Kazmir. May 24, 2011 sent LHP Scott Kazmir on a rehab assignment to Salt Lake Bees. April 9, 2011 Los Angeles Angels placed LHP Scott Kazmir on the 15-day disabled list retroactive to April 4, 2011. Tightness in his lower back. April 4, 2011 Scott Kazmir roster status changed by Los Angeles Angels. August 7, 2010 Los Angeles Angels activated LHP Scott Kazmir from the 15-day disabled list. July 19, 2010 Los Angeles Angels placed LHP Scott Kazmir on the 15-day disabled list retroactive to July 11, 2010. Strained left shoulder. April 15, 2010 Los Angeles Angels activated LHP Scott Kazmir from the 15-day disabled list. April 8, 2010 sent LHP Scott Kazmir on a rehab assignment to Rancho Cucamonga Quakes. April 3, 2010 Los Angeles Angels placed LHP Scott Kazmir on the 15-day disabled list retroactive to March 31, 2010. Strained right hamstring. August 29, 2009 Rancho Cucamonga Quakes Traded 3B Matthew Sweeney to Charlotte Stone Crabs; Arkansas Travelers Traded LHP Alex Torres to Montgomery Biscuits and Tampa Bay Rays Traded LHP Scott Kazmir to Los Angeles Angels. June 27, 2009 Scott Kazmir roster status changed by Tampa Bay Rays. June 22, 2009 Charlotte Stone Crabs sent LHP Scott Kazmir on a rehab assignment to Durham Bulls. June 17, 2009 Scott Kazmir assigned to Charlotte Stone Crabs from Tampa Bay Rays.